BabyCottonBottoms, a Knickernappies Retailer, is a local favorite! We've got some exciting news to share! We're congratulating one of our retailers on a job well done! Baby Cotton Bottoms of Colorado Springs has just won TWO "Best Of" Awards! They're the gold medal recipients of Best New Store and Best Baby Store! We can't tell you how proud we are for a cloth diaper retailer to win. It's such great exposure for the industry and cloth diapering community and I am sure it's great local advocacy as well! Baby Cotton Bottoms has a new store location if you're local to Colorado Springs and would like to stop by and see them in person or you can shop online 24-7 via their adorable website. 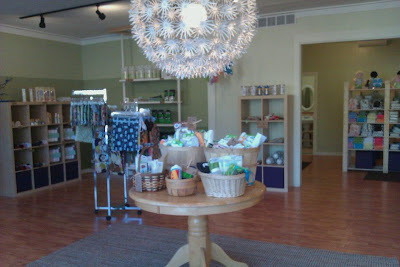 Stop by Baby Cotton Bottoms on Facebook and congratulate them on their awesome achievements and beautiful new store! Cloth Diaper Advocacy Is Easy, Try It! How to make cloth diapers work for you!